ALASKA RESIDENT BECOMES MISS TSU! Posted in Uncategorized | Comments Off on ALASKA RESIDENT BECOMES MISS TSU! On Friday, April 27, Isis Ivory Alliniece was crowned Miss Texas Southern University 2007-2008. Alliniece, a native of Anchorage, Alaska, is a junior majoring in business marketing. She’s also a member of the TSU Tigers Cheerleaders squad, Deans List, Honor Roll and Who’s Who Among African American College Students. Alliniece is the daughter of Manger and Debbie Alliniece. Ashley Bingham served as Miss Texas Southern University 2006-2007. THE SHERIFF’S DEPARTMENT SAYS THIS IS THE MAN WHO PUT HIS GIRLFRIEND IN THE CLOTHES DRYER! Posted in Uncategorized | Comments Off on THE SHERIFF’S DEPARTMENT SAYS THIS IS THE MAN WHO PUT HIS GIRLFRIEND IN THE CLOTHES DRYER! On Thursday, April 26, 2007, at approximately 12:45 p.m., Harris County Sheriff’s Deputies were called to 2218 Place Rebecca regarding a Disturbance. 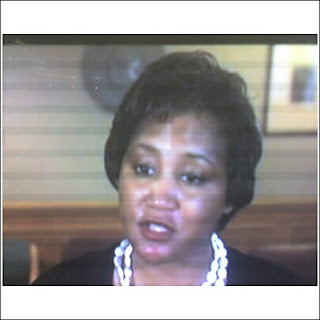 Upon arrival, Deputies met with the reportee, who said she was concerned about her friend who lived at that town home. The reportee had received text messages from her friend’s ex-boyfriend saying that the complainant was in the garage, and telling her to “figure out a way to get her out.” The reportee believed that her friend was being held in the town home against her will. After making entry into the town home to check on the complainant’s welfare, Deputies eventually found the complainant unconscious in the clothes dryer in the garage. The complainant regained consciousness while at the scene, and was transported to Houston Northwest Medical Center for assessment and treatment of her injuries. Before being transported, however, the complainant was asked who assaulted her, and she replied that it was her ex-boyfriend, Adrian Williams. On Friday, April 27, 2007, Deputies charged Adrian Williams with one count of Aggravated Kidnapping. 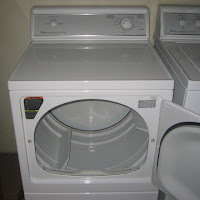 (The kidnapping charge was due to the fact that the suspect had imprisoned the complainant in the dryer against her will.) Williams was arrested and booked into the Harris County Jail early Sunday morning. 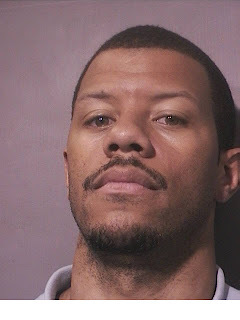 On Monday, April 30, 2007, bond was set at $75,000. This charge is out of the 209th District Court. WALTER DUMAS DROPS OFF A BIG CHECK AT SOUTHERN UNIVERSITY IN BATON ROUGE! Posted in Uncategorized | Comments Off on WALTER DUMAS DROPS OFF A BIG CHECK AT SOUTHERN UNIVERSITY IN BATON ROUGE! GIVING BACK TO EDUCATIONAL INSTITUTIONS! 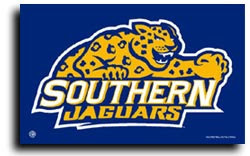 Southern University hosted the presentations of major contributions today made to the Baton Rouge Area Foundation, Baton Rouge Community College, Louisiana State University and Southern University. These four recipients will share the remaining settlement funds of a class action lawsuit arising from a March 17, 1997, barge accident which occurred on the Mississippi River. Attorney Walter Dumas led the presentations saying, In every case we [Class Counsel] keep a reserve for contingencies that may arise. And, in this case we had funds left over. We looked around the community to see who could benefit, and these four recipients got unanimous support from all of the lawyers involved. Joining Dumas today were representatives of Liskow and Lewis and each of the recipient organizations. The Baton Rouge Area Foundation received $68,944.41, accepted by John Spain, Baton Rouge Community College received $344,724.54, accepted by Chancellor Myrtle Dorsey, Louisiana State University received $689,449.05, accepted by Vice Chancellor for University Relations Michael Ruffner, and Southern University received $2,344,126.85, accepted by Southern University System President, Dr. Ralph Slaughter. We touch a number of lives across the state and this contribution will help us help many people around Louisiana, said John Spain. 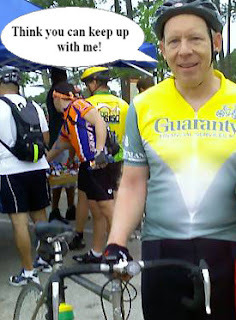 MAYOR BILL WHITE WANTS YOU TO GET MOVING IN HOUSTON! 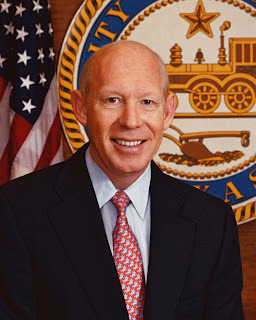 Posted in Uncategorized | Comments Off on MAYOR BILL WHITE WANTS YOU TO GET MOVING IN HOUSTON! Mayor Bill White invites Houstonians to lace up their tennis shoes and join him for at least 15 minutes of exercise on International Challenge Day, May 23, and to report their results. The International Challenge Day is a competition that takes place simultaneously in different cities around the world. It requires groups, couples or individuals to record that they have exercised for 15 minutes or more on one given day. In 2006, there were 2,867 cities from 24 countries that participated in Challenge Day, and the City of Houston has been involved since 2005. Posted in Uncategorized | Comments Off on SHOULD SHE STAY OR SHOULD SHE GO? 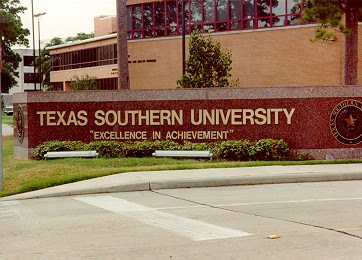 The head of the Texas Southern University’s board today said she’s obligated by law to carry out her duties — until she’s replaced. Regents chairwoman Belinda Griffin says she’ll continue — despite Governor Rick Perry’s request that the board resign and cease activity. T-S-U has been rocked by financial scandal over the past year. Perry in mid-April called for the board’s resignation and proposed installing a conservatorship at the historically black school in Houston. Griffin says some T-S-U regents may have been confused about their role after she submitted their resignations to Perry on Friday. INSITE QUESTION: Should Belinda Griffin stay at TSU or leave now and save face? IF YOU HAD C. JOHN WILDER’S SALARY WHAT WOULD YOU BUY? 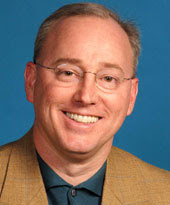 Posted in Uncategorized | Comments Off on IF YOU HAD C. JOHN WILDER’S SALARY WHAT WOULD YOU BUY? $17.2 MILLION FOR HIS WORK ON THE JOB! The chief executive of electric utility T-X-U Corporation received compensation last year valued at 17-point-12 (M) million dollars. Most of that was in stock awards, according to an analysis of a regulatory filing today. were granted, T-X-U said in a filing with the Securities and Exchange Commission. Wilder, who is also chairman of the Dallas-based company, got a salary of 1-point-25 (M) million, a nonstock incentive payment of 1-point-65 (M) million, and $564,056 in other compensation. Insite Question of The Day: What would you buy or do if you had a salary like that? A FUNERAL FOR THE ‘N’ WORD: WHAT DO YOU THINK? WILL IT HELP THE CAUSE OR BE ONE BIG JOKE? 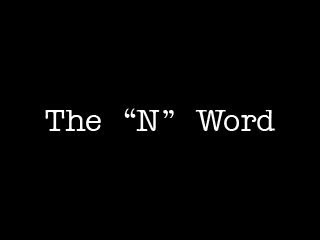 Posted in Uncategorized | Comments Off on A FUNERAL FOR THE ‘N’ WORD: WHAT DO YOU THINK? WILL IT HELP THE CAUSE OR BE ONE BIG JOKE? WHAT DO YOU THINK ABOUT THE NAACP’S IDEA? 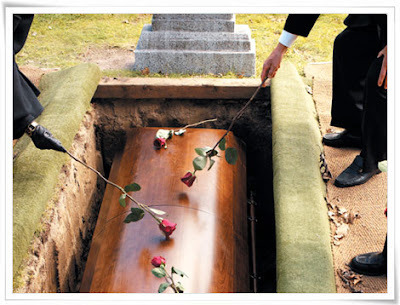 symbolic funeral will be similar to one held in Detroit 63 years for Jim Crow, the term used to describe the series of laws in many parts of the South and elsewhere that segregated blacks from white society and, in effect, made African-Americans second-class citizens. REMAKING THE BIRTHDAY DELUXE EDITION AFTER A LAWSUIT! Posted in Uncategorized | Comments Off on REMAKING THE BIRTHDAY DELUXE EDITION AFTER A LAWSUIT! LEGAL BATTLE SPARKS SOME CHANGES TO THE RELEASE! 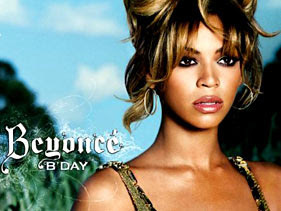 When Beyonce’s record label decided to re-release her hit album “B’Day” as a “deluxe” offering, they were no doubt hoping to cash in on the project’s success. Now it appears the release is becoming more known for controversy. The “B’Day Deluxe Edition” is getting a makeover. New shipments of the project will not include a remake of the song “I’m Kissing You” until a spat over legal clearances for the song can be cleared up. The decision by Music World Entertainment comes after a copyright infringement suit was filed against Beyonce and her record label on behalf of the song’s writers: Des’ree Weeks and Timothy Atack. At issue is whether the song was cleared for release in the U-S. While the album is being re-cut without the disputed track, versions of the album released internationally won’t be affected by the change because they didn’t include the remake. LIFE IS IMITATING ART IN TEXAS VIA WLD HOGS! Posted in Uncategorized | Comments Off on LIFE IS IMITATING ART IN TEXAS VIA WLD HOGS! LIKE THE MOVIE – RUSTY BIKERS ARE GETTING GET BACK ON THE ROAD TO DANGEROUS RESULTS! 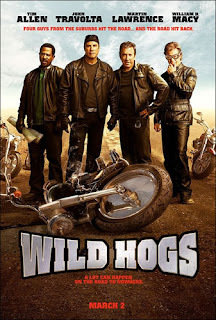 With May as Motorcycle Safety Month and the movie, “Wild Hogs,” playing in theatres, DPS wants to remind motorcyclists to think safety first. The movie accurately portrays a trend in motorcycle riding nationwide: unprepared riders are hitting the roads in increasing numbers. Returning riders are getting back on their motorcycles without brushing up on their skills. An advertisement for “Wild Hogs” says, “When they hit the road, they had no idea the road would hit back.” Unfortunately, that is true for many motorcyclists who haven’t taken the time to brush up on their riding skills. Last year, 32,267 Texans took either the basic or advanced course, setting an all-time record number of students taking advantage of the courses, but there are 803,116 licensed motorcyclists in Texas. Many of those drivers could benefit from taking a safety course. The basic course may be used to waive the licensing road test, and both of the courses may qualify for ticket dismissal and insurance discounts. The DPS Motorcycle Safety Unit offers basic and advanced motorcycle operator training in 69 permanent locations and nine mobile sites. Motorcycle riders can locate the course nearest to them by visiting the DPS Web site www.txdps.state.tx.us/msb/. In 2005 (latest statistics available), 360 people in Texas died as a result of motorcycle crashes, with 59.3 percent of those not wearing a helmet. While Texas does not require all motorcycle riders to wear helmets, the DPS strongly encourages riders to wear helmets to increase safety and save lives. Texas law states that in order to be exempt from wearing a helmet, a person must be at least 21 years of age. In addition, they must successfully complete a motorcycle safety course or be covered by a health insurance plan providing at least $10,000 in medical benefits for motorcycle-related injuries. Posted in Uncategorized | Comments Off on WHERE ARE THEY NOW? FORMER HOUSTON PERSONALITIES MARIA TODD AND JAMES IRBY! Someone recently left a comment asking where in the world is Maria Todd? She was the morning announcer on KRBE a year or so ago. 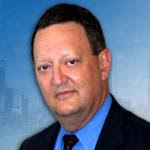 Also someone wanted to know what became of KTRK-TV 13 reporter James Irby. The Insite did some research and now I have answers. 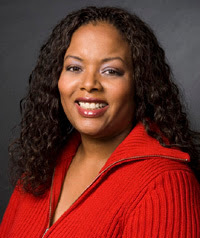 Maria Todd is now doing morning radio (prime spot) in San Francisco. She’s now apart of the Baltazar and Maria show on Movin 99.7 FM. As for James Irby, he has landed an anchor spot at FOX news in Austin. Irby serves as the weekend anchor at the Capitol station and it appears he’s having a good time there. All questions answered? BIKING WITH BILL OR MUNCHIES WITH MIKE! The local organization Crime Stoppers is hoping to raise some money for their effort to stomp out crime. They’re kicking off an online auction to raise money for the group and there’s quite a few items to bid on. For exanple: You can bid on a bike ride with Mayor Bill White, there’s a wine tasting party for a group of 20 and you can even have lunch with the head of the department of Public Works – Michael Marcotte. So if you want to help crime stoppers by getting something back you may want to check out the auction. The Insite has his eye on a GPS system and a Sprint Blackberry! SAY IT AIN’T SO: KATIE COURIC DOESN’T WRITE HER OWN BLOG! Posted in Uncategorized | Comments Off on SAY IT AIN’T SO: KATIE COURIC DOESN’T WRITE HER OWN BLOG! THE GHOST WRITER GETS INTO TROUBLE! The reference is to serious CBS news icon Katie Couric, who was ensnared recently in yet another embarrassing brouhaha. One of her producers was fired for plagiarizing a Wall Street Journal story on libraries, which Couric used in a video blog. Although coverage focused on the act of plagiarism, the real revelation was that Couric, who makes something like $15 million a year, doesn’t even write her own blog. Even worse, the offending “video notebook” item was framed in the style of a personal remembrance, beginning with, “I still remember when I first got my library card.” In other words, not only was Couric okeydokey with someone else writing her personal journal, she was equally okeydokey with the writer making up her childhood memories.